After the 4th meeting in Italy students wrote down a report about their apprenticeship experience in different companies , they wrote about their reflections on their skills qualities and competences for a kind of job. They got a lot of fun, tried themselves and their expectations. As teachers we worked on preparing a form with different topics in order to share good practices on career guidance. Preparations before the Teacher’s meeting in Portugal. 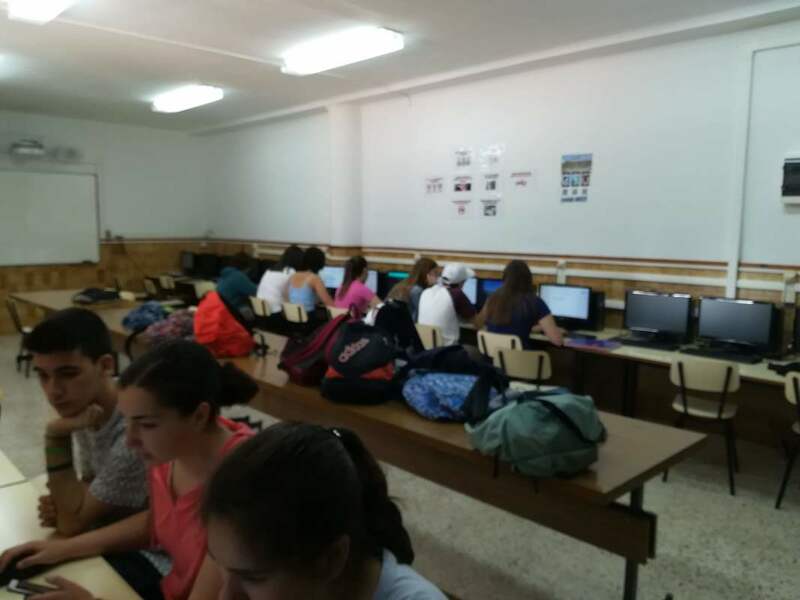 Students are asked to prepare a presentation of the conclusions of the different parts of the Erasmus project. 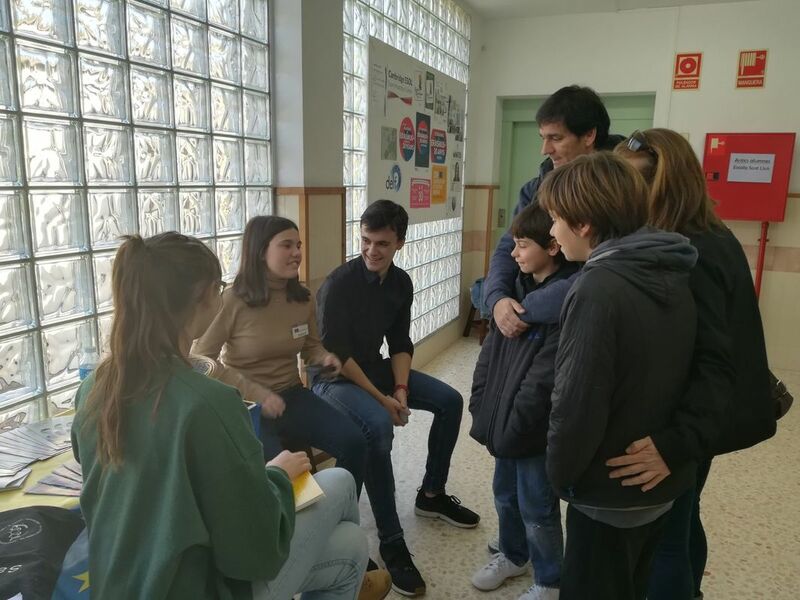 Students worked on activities related to getting experience abroad, the job interviews and the apprenticeship in companies. They were really motivated and produced a great work. Conclusions will be transferred into a leaflet to be delivered to all the students by the end of June as a helpful tool for their career guidance. All the students were asked to write a report or make a presentation of their Practice Days. The students really enjoyed and appreciated their one-day apprenticeship at the companies of their choice. They spent the day doing some job shadowing usually at the workplace of their family member. The reports were uploaded on LMS platform. 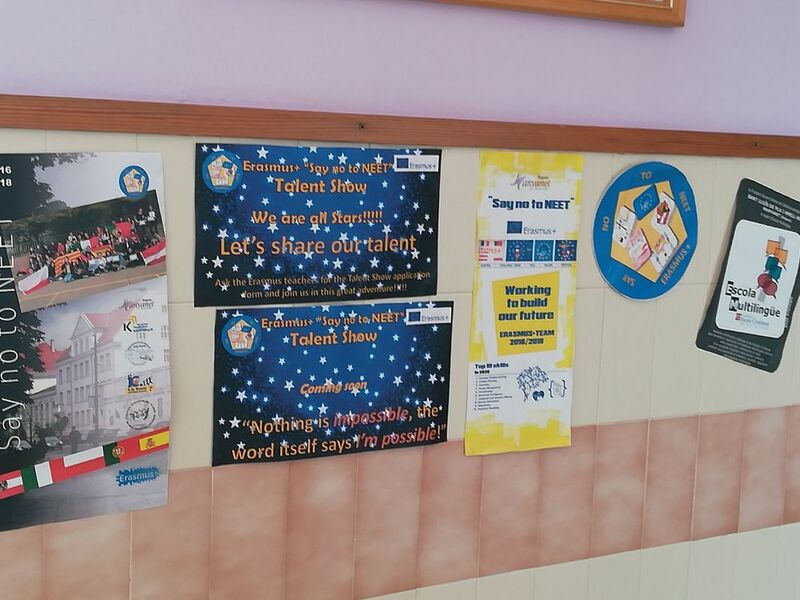 Some students also created posters of the day and displayed them in Erasmus+ corner. The teachers worked on the e-book for career guidance. 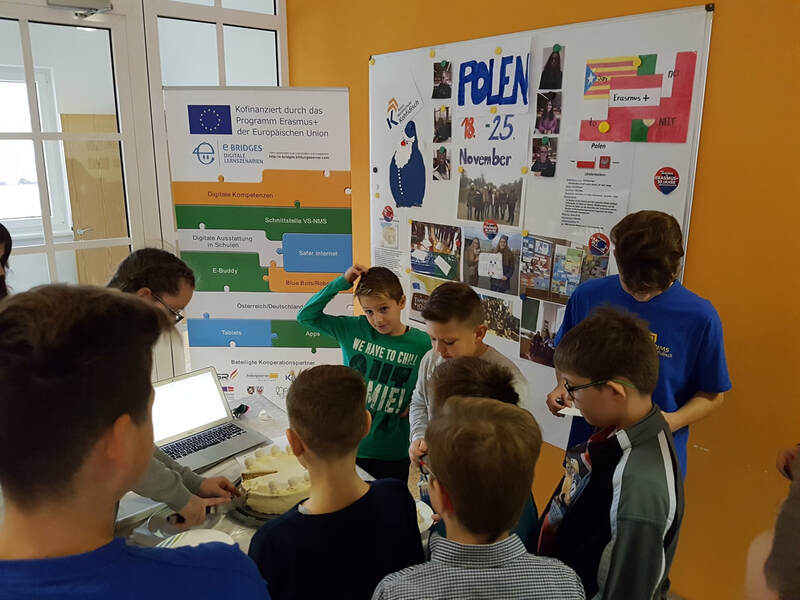 They created five sessions that were held in Poland during the meeting in November 2017. From November to April the Austrian Team was working on the preparations of the talent show and the Erasmus+ days. 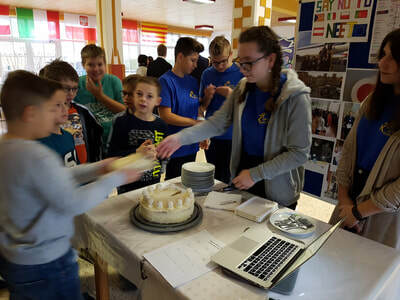 Both events were prepared by the Erasmus team members (students and teachers). 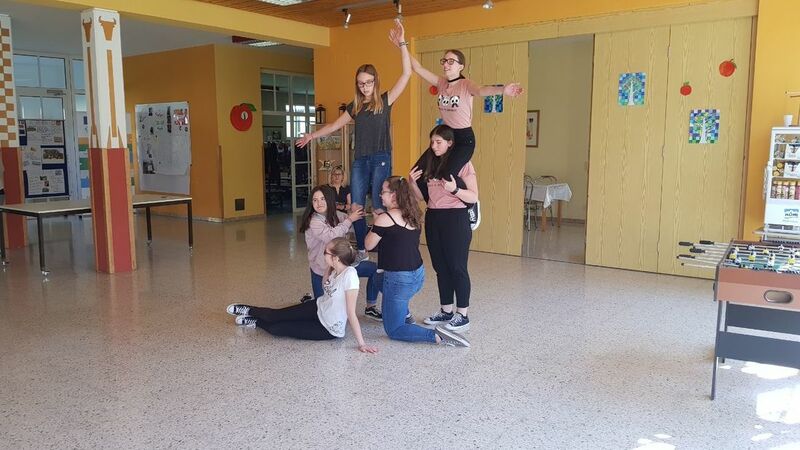 A lot of fun the students had by preparing a special traditional dance, which they will perform in Sicily. On February, 18th, we held an Erasmus Open Day. 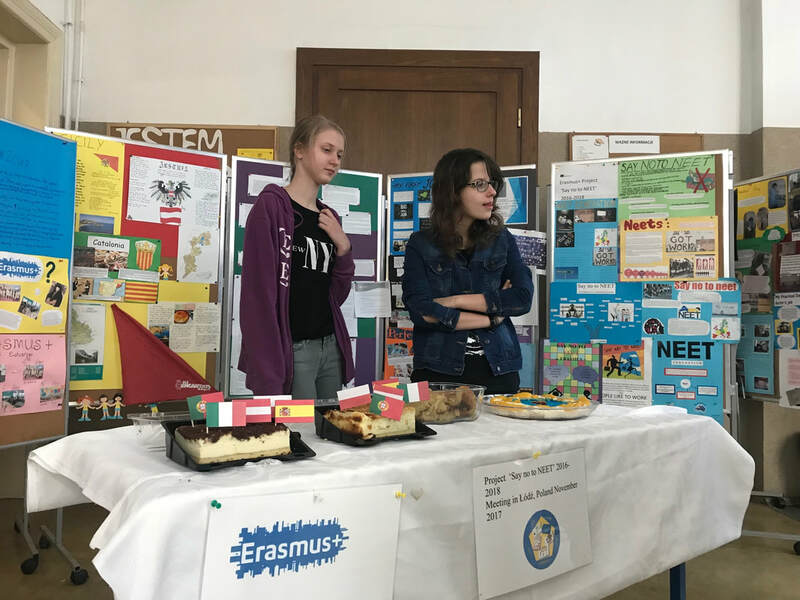 All the school community was able to know and share the Erasmus programme and the Erasmus project, "Say no to NEET". A group of Erasmus students were in charge of the stand and told families about the Erasmus programme, the benefits and how to apply. There was a small exhibition with the products and some presents from the different country partners involved in the project . Students organized an easy game-TRIVIAL- to attract people's attention. Finally, they were awarded with a small present if they guessed the answer. The Erasmus Open Day was part of the Open School Day to let the community and the area know about our school and the programmes we are currently running, such as "Say no to NEET" Erasmus KA2. 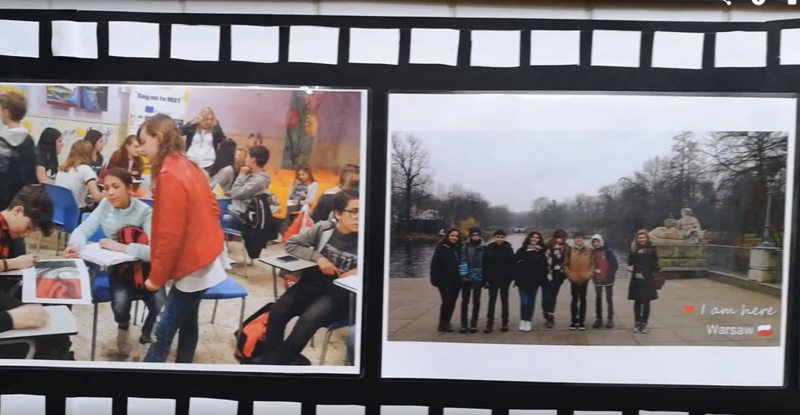 Both, families and students, and also teachers were highly involved and interested in the programme, which means we are working professionally. Human Towers exhibition was performed to show team work, which is essential in such kind of projects. REady for the Talents in our Project! 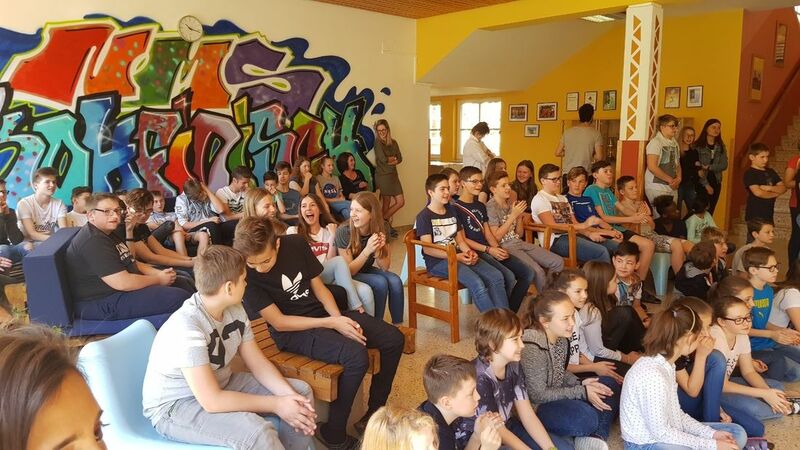 Austrian students just have started right after returning back home from Poland with an active task. 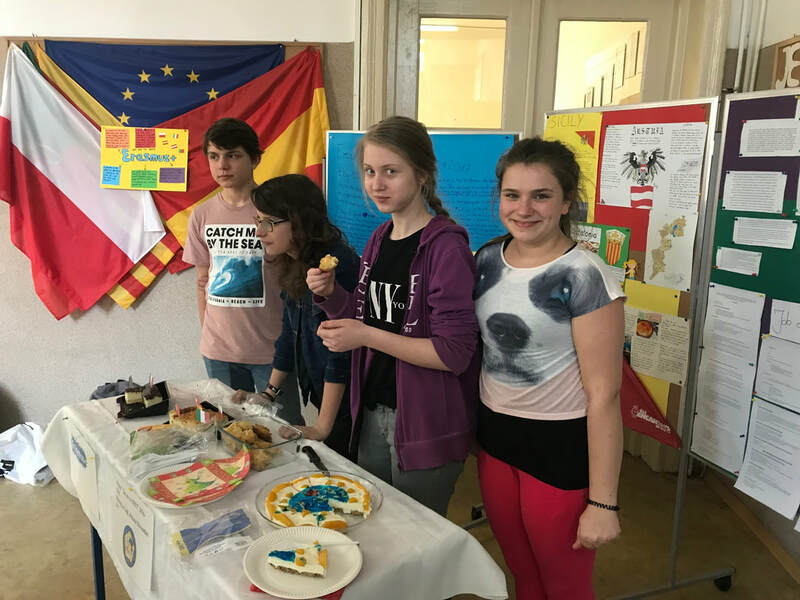 During the Open Day at the NMS Kohfidisch the Erasmus students presented themselves in the project and giving other students further information. 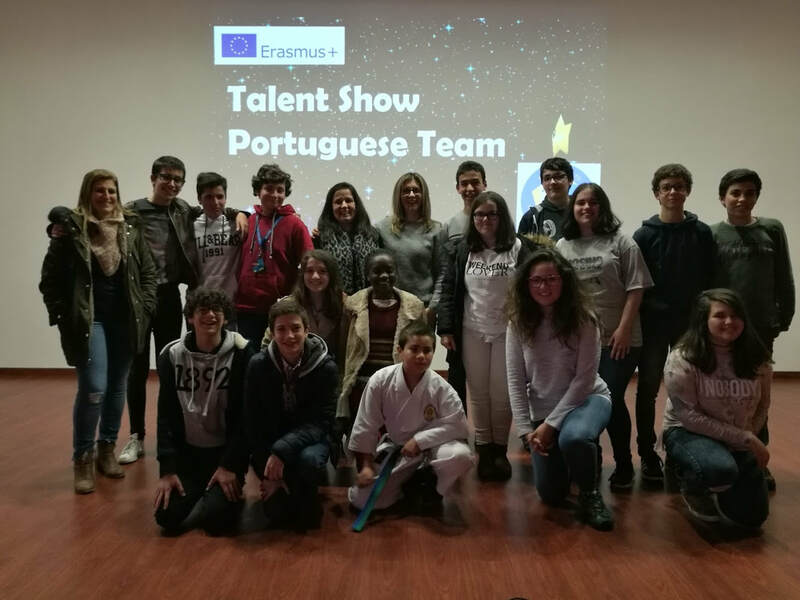 The Erasmus students started to promote the "Talent Show" so that many students will be registered for the shows.